In addition to our website for consumers, we wanted to create a site strictly for Inner Child’s retailers. This e-commerce site is password-protected for access by our retailers and provides them with online ordering, marketing materials and other information to make it easier to work with us and sell our candles. 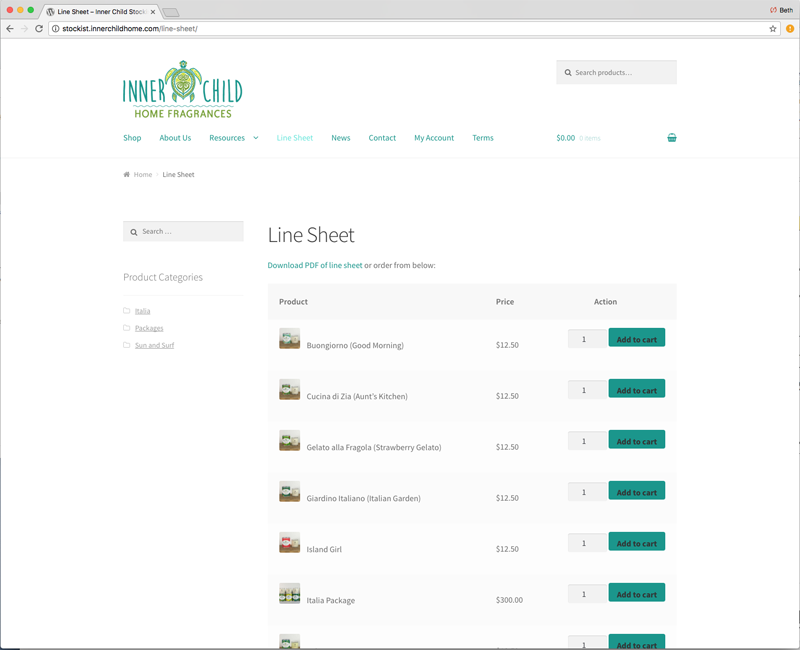 Our favorite feature of the site is the line sheet that is shown here that allows for streamlined ordering for the busy retailer. Contact for more information and to see a demo.